What is the true meaning of Christmas? The author believes the answer is found in the Golden Rule. Christmas should be about being good to one another. Christmas in San Diego, therefore, focuses on people who bring joy to others. Locals are blessed to have many special individuals who share their spirit to make Christmas in San Diego a special season for everyone. 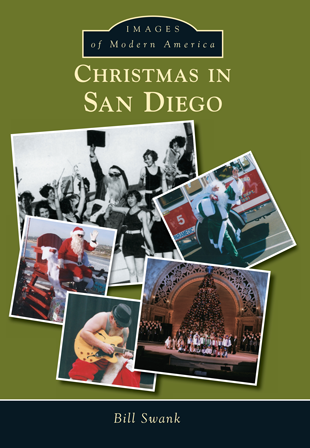 This book is divided into five chapters: the history of Christmas in San Diego, the many Christmas traditions throughout San Diego, the various ways Christmas is celebrated within the communities of San Diego County, unique San Diego Christmas trees, and lastly, some special Santa Diego Santas.